We’re still rockin’ the Emmys this morning! Below is some E Online red carpet coverage and a few more photos of Derek and Julianne Hough after their win for “Best Choreography. Witney Carson is pictured as well. She may not have won last night, but, she sure looked beautiful and is still a winner just for being nominated at such a young age. Also, let’s hope we see more dancing from Julianne on Dancing With The Stars. Girl still has “it” in every way and proved it so last night! A huge congratulations to Derek Hough, Julianne Hough, and Tessandra Chavez. They won an Emmy Award for “Best Choreography” for their “Elastic Heart” performance on Dancing With The Stars last season. Click on any of the photos to see more! Their smiles say it all!! 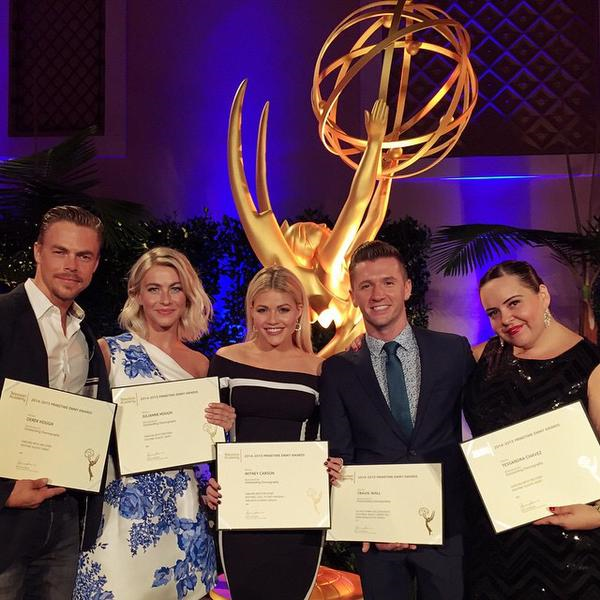 Last night, Dancing With The Stars Witney Carson, Derek Hough, and Julianne Hough attended the 2015 Emmy Choreographers Reception. Photos below courtesy of Getty Images. Click any of the photos to see more. More coverage at Pure Derek Hough as well. Last night at the 2015 Industry Dance Awards and Cancer Benefit Show, Dancing With The Stars Derek Hough won for ‘America’s Favorite Choreographer’ and ‘America’s Favorite Performance’ for “Elastic Heart” along with Julianne Hough and Tessandra Chavez! Julianne Hough also won for ‘Favorite Dance Idol’. Carrie Ann Inaba also was named the ‘2015 Role Model Award’. Congratulations to Everyone!! For more coverage on the night including video of Derek accepting his awards, photos, and more, see Pure Derek Hough. 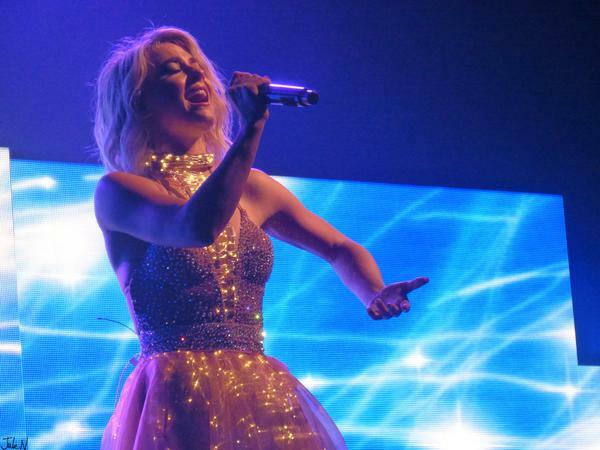 How about some more beautiful photos….this time of Derek and Julianne Hough and their Move Live On Tour in Hollywood, Florida last night? Click on any of the photos to see more. For lots more coverage on the Move Live On Tour including videos and photos by the loads, interviews, fan reviews, guest blogs, etc., see Pure Derek Hough. Aren’t these photos of the new Move Live On Tour amazing? These shots were taken and tweeted out by @jnemec100. To see more photos, videos, interviews, guest blogs, etc. of the tour, see PureDerekHough.com. For tickets to see the show, see this link. @ashfrye08 Tonight in Phoenix @juleshough and @derekhough reminded us not only to appreciate all we have in life, especially our health, but that everything we need to accomplish our dreams is already inside of us. We all have a light, we just need to ignite it.